String Covers: If you have a grand piano, and live near the ocean, I recommend a “string cover”. This cover is installed inside the piano, over the strings. It is made of wool, and absorbs any moisture from the atmosphere. The cover does not touch the strings, so you can still play it without noticing any reduction of sound. Dust is sealed out. I’ve seen many pianos with string covers that look as new inside as they were when the piano was made. 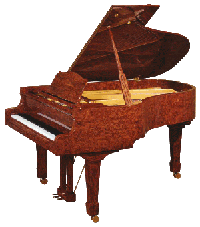 Other pianos without covers quickly collect dust and dirt, and lose value and appeal in a year or two. They are available in different colors and are well made and attractive. A highly recommended investment. Caster Cups: Caster cups are recommended for wood floors to protect the wood from the steel casters. I carry many types of caster cups, both in wood and plastic, that will match the piano or floor. Adding caster cups will enhance the singing tone of a grand piano if the piano is placed on a concrete floor, even if covered by a carpet. Dehumidifier System: Seasonal changes in humidity affect the tuning of a piano. Especially if you live near the coast, you need this system. It will stabilize the tuning over a longer time, and also prevent swelling of the wood parts and rusting of the strings. 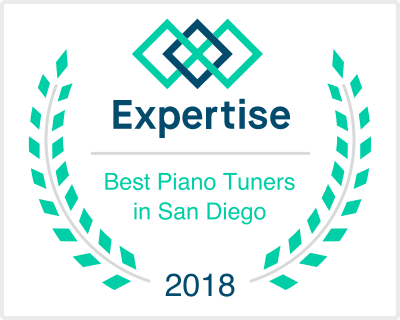 Grand pianos with both a string cover and dehumidifier will protect your piano from damage and keep it in tune longer. This entry was posted on Tuesday, June 29th, 2010 at 12:03 am	and is filed under Tips For The New Piano Owner. You can follow any responses to this entry through the RSS 2.0 feed. Both comments and pings are currently closed.